We’ve all seen those tricky Permutation/Combination questions involving people around a circular table. How do we solve them? Well, they’re actually pretty ridiculously easy! There are 7 people and a round table with 5 seats. How many arrangements are possible? This question might seem complex at first because there are more people than there are seats. It’s kind of a Permutation AND a Combination in one! So now for each of those ways, we’re wondering, how many ways can we order 5 people around a table? For any table with “x” seats, the number of possible arrangements is (x-1)!, so here 4! = 4 x 3 x 2 = 24. The correct answer is 504. The key takeaway here is that “choosing” X from Y always allows for the Combination formula (x! / (x-y)! y! 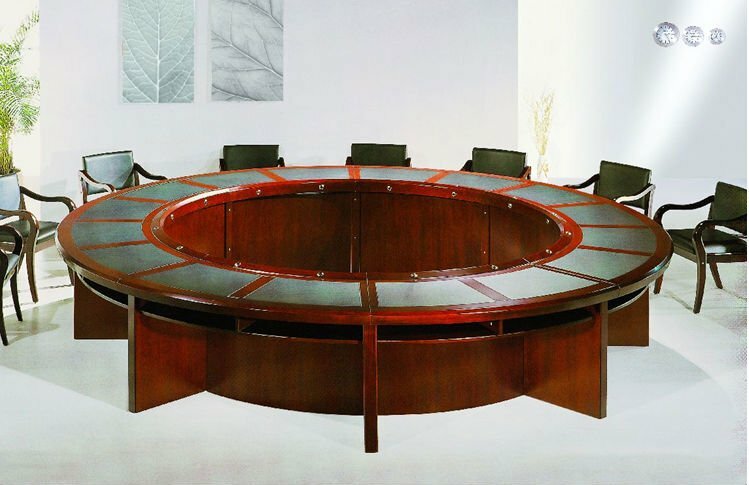 ), and the number of arrangements around a circular table with “X” seats is always (X-1)! There’s actually not that much to memorize! Your GMAT score is calculated using a complex algorithm — here’s what you need to know about the scores you’ll receive before and after the exam. This video above from GMAT PrepNow gives you a basic idea how the GMAT scoring works. Notice the point it makes about CATs: an adaptive test changes based on your response. If the question is answered correctly, the next question will be harder and the score will adjust upwards. If the question is answered incorrectly, the next question will be easier and the score will adjust downwards. The GMAT is constantly recalculating the scaled score as the student progresses through the section to determine the precise ability of the test-taker. It’s not the number of correct questions that matters most, but how hard the questions you answer correctly are! This is why you must challenge yourself with harder questions in your practice! An official GMAT score report consists of four sections. There is a Verbal Scaled Score (on a scale from 0 to 60), a Quantitative Scaled Score (on a scale from 0 to 60), a Total Scaled Score (on a scale from 200 to 800) and an Analytical Writing Assessment Score (on a scale from 0 to 6). Keep in mind: the GMAT scores the multiple choice and the writing sections differently. 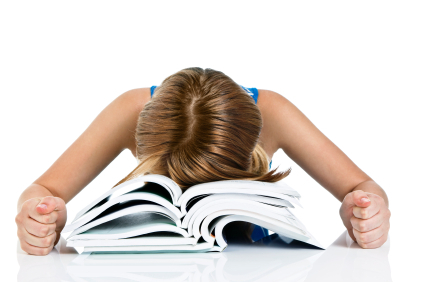 There are a total of 78 multiple choice questions: 41 in the verbal section and 37 in the quantitative section. To compute the scaled score for each section, the GMAT uses an algorithm that takes into account the total number of questions answered, the number of questions answered correctly, and the level of difficulty of the questions answered. The standard error for the GMAT is +/- 30 points, meaning you have a significant advantage if you score 30 points higher than the average score of your dream school. In this Kaplan video, you’ll see how the average GMAT score of all the top programs listed here is around 718. In order to be above par, a 750 score is required. This guarantees you a helpful push in your application (though GPA matters significantly as well). That’s how you can evaluate your competitiveness for each school: look up the average GMAT score of accepted students, then add 30 points to it. Get more tips for interpreting your GMAT score on Learnist! A strong vocabulary will help your Analytical Writing, Verbal, Integrated Reasoning, and even Quantitative accuracy! Here’s how to build yours from the ground up, and use it to break down the toughest GMAT questions. You can ignore most of the challenging vocabulary on sentence corrections as long as you identify what part of speech each word is, and how it functions within the sentence. To do this, you’ll need to spend some time with a solid English grammar review book. I recommend pairing a heavy-duty review book, like the Oxford Guide or those published by McGraw-Hill or Longman, with a “fun” book like Writer’s Express or English Grammar for Dummies. If you don’t have time to go through an entire book, this “English Grammar for Dummies Cheat Sheet” is a great overview! It is much, MUCH easier to memorize synonyms for words than their full definitions. Start grouping words together mentally (and on paper) according to their meaning. For example, words like “pusillanimous,” “poltroonish,” and “timorous” might go on the “shy” list. 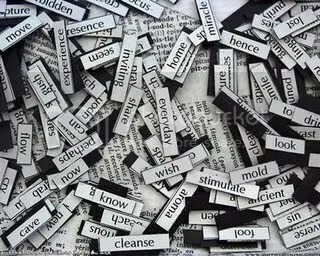 Write only the words you recognize from the list on the back. Learn more ways to beef Up your GMAT vocabulary on this Learnboard! There are 41 questions on the GMAT Verbal section, and about a dozen of them will be Critical Reasoning problems: paragraphs that require you to dissect arguments and understand logic. Here’s how to conquer them with minimal fuss! The best place to start getting familiar with what “Critical Reasoning” looks like is on the official testmaker’s website: http://www.mba.com. Argument construction: Questions of this type may ask you to recognize the basic structure of an argument, properly drawn conclusions, underlying assumptions, well-supported explanatory hypotheses, or parallels between structurally similar arguments. Argument evaluation: Questions of this type may ask you to analyze a given argument, recognize factors that would strengthen or weaken an argument, reasoning errors committed in making an argument, or aspects of the methods by which an argument proceeds. Formulating and evaluating a plan of action: Questions of this type may ask you to recognize the relative appropriateness, effectiveness, or efficiency of different plans of action; factors that would strengthen or weaken a proposed plan of action; or assumptions underlying a proposed plan of action. Next, purchase the Official Guide on Amazon! Arguments have a tendency to follow predictable patterns of organization and are always comprised of a conclusion, premise (or evidence), and assumptions. The conclusion and the evidence will be explicitly stated in the passage, while the assumptions will require you to sit and consider the author’s point of view. What needs to be true in order for the conclusion to be correct based on the given evidence? 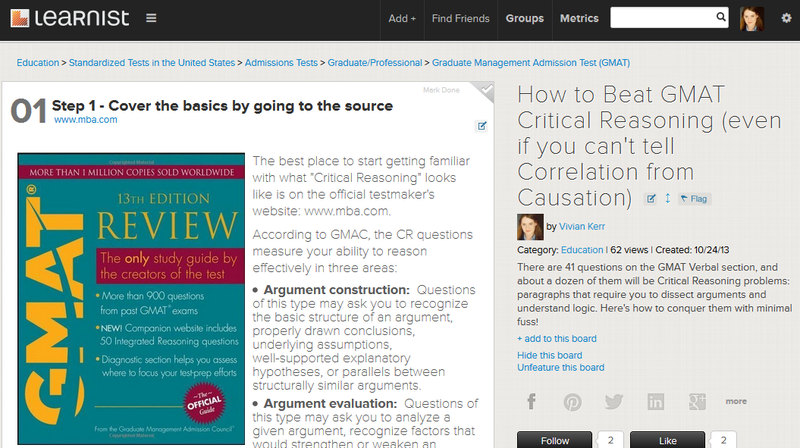 Check out Steps 3-7 on this Learnboard to learn more about How to Beat GMAT Critical Reasoning!